Unemployment is a permanent fixture of capitalism. It is not simply the outcome of those who make bad life choices. There are no “cracks” to fall through when the entire foundation is designed with gaping holes. Mass unemployment is not merely a failure to apply a more compassionate capitalism, or a more Keynesian economic model with progressive taxation and better state provisions for the working class. Even the major structural reforms that brought about the post-World War II establishment of the Welfare State never ended unemployment. In fact, in hindsight we can see that these reforms merely set up a system whose subsequent dismantling has left a pacified and disorganized working class in its wake…. Unemployment is a permanent fixture of capitalism. It is not simply the outcome of those who make bad life choices. There are no “cracks” to fall through when the entire foundation is designed with gaping holes. Mass unemployment is not merely a failure to apply a more compassionate capitalism, or a more Keynesian economic model with progressive taxation and better state provisions for the working class. Even the major structural reforms that brought about the post-World War II establishment of the Welfare State never ended unemployment. In fact, in hindsight we can see that these reforms merely set up a system whose subsequent dismantling has left a pacified and disorganized working class in its wake. For too long, many anarchists have adopted a defensive posture to these issues, focused on the short-term and immediate needs of the unemployed and those on social assistance. Reformist goals cloaked in militant tactics have drawn anarchists like moths to the flame, and have born little reflective analysis on how appeals to the State could ever truly prefigure our broader goals of mutual aid and revolutionary dual power. In this article we’ve attempted to find contemporary and historical examples than can potentially aid in realigning this tendency towards a broader revolutionary strategy. Supporting the welfare of people means more than making sure they have the bare minimum needed to survive, but actually meeting their need to live in fulfilling and creative ways. The Welfare State, in the context of a capitalist economy, has built a social safety net that can support people through hard times―such as unemployment insurance and welfare programs that provide unemployed people with often paltry levels of monetary assistance to help them survive while they find themselves in between jobs. These programs, however, are an attempt at stabilizing an unjust and functionally unstable system, and even the inadequate level of protection that they do provide is under attack. The Welfare State emerged out of a history of consolidation of capitalist and state interest across much of the western world, but within the current historical moment capitalist and state actors currently see many taxpayer-funded programs as extraneous and unnecessary. Worse, many members of the working class, swayed by the common-sense rhetoric of belt-tightening so prevalent under the current international regime of austerity, seem to agree. We will not attempt, given its scale, a comprehensive analysis of all elements of the Welfare State. Instead, this article will focus mainly on the monetary assistance features of the Welfare State, as these social assistance programs―such as Ontario Works (OW), Ontario Disability Support Program (ODSP), and their counterparts in other provinces and countries―present some of the most visible and obvious examples of how the Welfare State interacts with poor and marginalized populations. Anarchists often paradoxically find themselves struggling to defend the existence of a welfare system that is currently integral for the survival of so many people; in Ontario, anarchists have a long history of participating in groups like the Ontario Coalition Against Poverty (OCAP), whose fights against social assistance cuts have produced varied success. Though anarchist criticisms of the Welfare State are numerous, and based on an anti-capitalist and anti-state analysis, an enduring defence of social assistance programs is also fairly common. This contradiction means that very little is practically accomplished in addressing state-delivered social assistance as a faceless, dehumanizing bureaucracy that starves the autonomy of individuals and communities. It is hoped that with this article, we might begin to look at the long-term strategies that might rectify this contradiction. The advent of state-administered social assistance programs has destroyed pre-existing community support networks, and has instead placed the welfare of people in the hands of professionals. These social assistance programs manage poverty, while ensuring the continued existence of a cheap and dispensable pool of labour for Capital. As anarchists, we must struggle for alternatives to the Welfare State, using strategies that are guided by the principles of self-help, mutual aid and community autonomy. History shows that working class people have the potential to organize our own support systems, which can exist alongside the those administered by the State and don’t require us to wait for the dawning of a post-revolutionary utopia. These emergent systems of dual power have revolutionary potential in the struggle to build a better world―a world where the welfare of individuals is the shared responsibility of the communities that they are a part of. With the Industrial Revolution, and the entrenchment of capitalism in the nineteenth century in Europe, state legislation began to play a more prominent role in people’s private lives. Legislation establishing public healthcare, education, and social assistance was drawn up―not for philanthropic reasons, but as a means to firm up the power of the new bourgeois elite, while allowing for the expansion of capitalism. The Poor Laws in Britain were developed further. Now, in order to qualify for social assistance, one had to be willing to labour in a workhouse. This created two sections of the poor in relation to the early Welfare State: the deserving, who were favoured with social assistance in exchange for hard labour, and the undeserving, who were denied social assistance because they were suspected of fraud or other deviant behaviour. The Poor Laws stigmatized poor people and helped to sustain the idea that people were impoverished because of their individual character and lack of work ethic. The unemployed, faced with the spectre of the extremely harsh conditions of the poor houses, often reluctantly took jobs where they faced horrendous conditions and obscene levels of exploitation. As more and more people migrated from rural areas to the growing urban centres, they found themselves living in crowded conditions, forced to work under horrible conditions in order to support themselves. Working class organizations began to spring up, and their members waged intense battles for increased wages, shorter hours, the enforcement of safer working conditions, and a decrease and eventual end to child labour. While these reforms were substantial gains for the working class, capitalism adjusted and continued to develop. In addition to these early struggles to reform capitalism, workers engaged in building and managing their own organizations to support one another. Colin Ward, in The Welfare Road We Failed to Take writes that “in the nineteenth century the newly created British working class built up from nothing a vast network of social and economic initiatives based on self-help and mutual aid.” These included “friendly societies, building societies, sick clubs, coffin clubs, clothing clubs, up to enormous federated enterprises like the trade union movement and the cooperative movement.” In other words, workers built up their own institutions to support one another and their families without the need to depend on the State. Without going into the various anarchist critiques of trade unions and co-ops, in terms of their lack of viable support for the unemployed, friendly societies demonstrate a potentially useful tool for building solidarity within our class outside of state institutions. These friendly societies were self-governing mutual aid associations, formed by working class people with the intention of taking care of one another in times of sickness, accident, old age, death, and to support widows and orphans. They were not charities, in that a benevolent few who were well off weren’t supporting an underclass, it was instead understood that at any given time a person might need support, or might have to give support to those suffering the cruel beatings perpetuated by capitalism. Over time, as the number of these societies grew, they began to federate. It is thought that by the beginning of the twentieth century, 75% of the British working class belonged to these societies. Beginning at around the same time, the Liberal government undertook a reform of social assistance programs, passing legislation such as the 1911 National Insurance Act. By 1913, almost 2.5 million workers had unemployment coverage from National Insurance, and 15 million were insured for sickness. This nationalization of insurance in Britain undermined the friendly societies, and they soon fell apart. Between the two World Wars, struggles for improvements in working and living conditions reached a fever pitch. In Canada, militant unions of the unemployed grew to such large proportions that Prime Minister R.B. Bennet attempted to restrain their growing numbers by segregating them in rural work camps. This was predicated on social policies derived directly from the Poor Laws and workhouses of Britain. Work camps were a response to the dangerous levels of unemployment brought about by the Great Depression, and were seen as a means of transporting the increasingly agitated and organized unemployed out of urban centres and into isolated camps, where they could then be forced to labour for scraps of food. Undeterred, these unemployed workers formed the Relief Camp Workers Union, and other similar organizations that operated under the umbrella of the Association of Unemployed Workers. In British Columbia, unemployed people escaped from these camps en masse, riding the rails to Vancouver, where they often acted as armed muscle for striking workers. Unfortunately, this movement soon changed tactics, coalescing around the On-To-Ottawa-Trek, which was then brutally crushed in Regina. This tactical shift demonstrated a decided deference to the State. The government of the day, despite its violent suppression of this movement, is credited with forcing the adoption of new widespread unemployment insurance changes and greater government funding for work programs in the early 1940s. Speaking about the US, but relevant as well to the Canadian movements of the time, Rhonda F. Levine argues, in Class Struggle and the New Deal, that governments and capitalists alike saw in the organizing efforts of the working class a truly revolutionary potential that posed an existential threat to their continued dominance. They responded with concessions to keep worker militancy in check, and, states Levine, what followed “by the end of the decade [was] a general consensus in support of the existing political and economic order.” In the pre-World War II period, workers, in league with the masses of unemployed, had real power that governments and capitalists were compelled to listen to―but this power was recuperated through the shift towards reform and promise of increased social assistance programs. This new arrangement persisted for the next two decades, and was further enshrined in 1966, with the passage of the Canada Assistance Plan Act. This legislation developed the notion of social assistance as a right of citizenship, rather than a privilege, and was connected to rhetoric around the “war on poverty” launched by Prime Minister Lester Pearson. This was a golden age of Keynesian economics, and social assistance in Canada took on the elements of an entitlement. This lessened, but did not erase the punitive morality that previously steered the system. As a new cycle of recession hit Canada during the energy crisis of 1973-74, however, the sense of social assistance as entitlement began to diminish over concerns of too much government spending. Amidst the global capitalist restructuring that heralded the shift towards neoliberalism, governments began to address budget deficits by slashing social assistance programs. Throughout the 1980s and 1990s, various governments fashioned together a social assistance system we are familiar with today―the workfare program. Instead of the idea of unemployed and poor people being automatically entitled to social assistance, workfare programs harken back to the Poor Laws of the nineteenth and first half of the twentieth century. Once again, the poor are judged as either deserving or undeserving of assistance. Modern social assistance programs are centred on coercing people to engage in waged labour―no matter how inadequate the pay, or how brutal the conditions. Despite their impressive scope, the militant reformists within unemployed movements were only able to achieve temporary concessions from the State. The reforms that they fought so hard for were eventually raked away, as soon as the broader cycles of economic decline made it politically tenable to do so. II. Where to Go From Here? Since the days of politicians like Margaret Thatcher, Ronald Reagan, and more recently Mike Harris and successive Liberal provincial governments in Ontario, anarchists have sometimes found themselves in the awkward position of fighting to maintain state-administered welfare services. But if we don’t want to participate in actions that give politicians campaign leverage, and if we are not interested in efforts that ultimately serve to increase people’s vested interest in the State we must do more. We cannot allow the state to further consolidate its grip on everyday life. While we might join with others to struggle for increases to social assistance rates, or against the closure of homeless shelters, anarchists must work as well to construct preferable alternatives. However, we question the notion that long-term strategy is a serious consideration for many anarchists today. In addressing welfare programs or unemployment ― especially in North America ― defensive struggles still remain at the forefront. Though varying slightly from group to group, calls for action like that put forward by the Workers Solidarity Movement are common: “[w]hat is needed is not token protests but a mass militant campaign which is opposed to all cuts and attacks on services.” Similarly, in Ontario many anarchists remain active within organizations like the Ontario Coalition Against Poverty (OCAP)―which disrupts Liberal Party fundraisers, protest in front of the provincial government at Queens Park, and demands the end of cuts and increases to existing social assistance rates. Though the tactics employed by these forms of organizations are often disruptive and intense, they do not focus on building long-term alternatives to state-administered welfare. These alternatives are absolutely essential, as no Keynesian economic model can overcome the hardwired contradictions of capitalist development. Strong state intervention, fuelled by progressive taxation and stronger welfare provisions ― including better labour or minimum wage laws and greater social assistance rates ― contribute to a falling rate of profit, capital flight, and economic stagnation over time. This is especially true in our current age of greater economic globalization, but was also true in earlier periods of recession, as evidenced by the slowing rates of growth leading up to the eventual global recession in 1972-74 that gave rise to neoliberal capitalist restructuring as a proposed fix. Without this fix, rates of profit would have continued to decline, and stagnation and inflation (stagflation) would have continued―with higher rates of unemployment to follow. Anarchists and other anti-capitalist militants must realize that unemployment and recession are always a necessary outcome within any liberal-democratic capitalist state―no matter how robust its welfare provisions might be. Given this inescapable reality, we cannot rely on the State to fix inequality by providing better services for the very underclass that capitalism will always inevitably produce. Ultimately we must find ways of directing our efforts that stress the need for the fundamental structural realignment that only a revolution can achieve. [W]hat anarchism calls for is the re-absorption of the provision of welfare into the daily lives of the citizens of the community. Welfare thus becomes not simply a function―something provided by a system or workers in a system―but part of the everyday life of the community and its citizens. Who makes up our community, neighbourhood, or even our class―and who should we be organizing with? Answering this question accurately will involve a major change in common perceptions of ― and for ― working class people. Under capitalism, the workers produce surplus value and the bosses, in turn, produce surplus workers. This surplus labour force is then policed, dehumanized, and thrown scraps from the table of the economy, in what the Welfare State would have us believe is an act of good will. Managing the lives and general perceptions of the unemployed is key to the capitalist strategy of breaking solidarity within the working class, reinforcing the capitalist myth of meritocracy while disciplining us through the ever present spectre of unemployment. Among the working class, those in extreme poverty are stigmatized as being imbued with “deficiencies” ― such as mental illness, laziness, addictions, and other criminalized behaviours ― that are somehow foreign to their more stable peers. Those doubly stigmatized by poverty and unemployment become viewed as a threat to generalized prosperity―as cheats, fraudsters, thieves, and parasites. We have to work to rid ourselves and others of these ideas and to replace them with an understanding that capitalism oppresses every member of the working class, whether they are currently receiving a wage or not, and that the delusional bigotry so common among our communities only serves the interests of the capitalists. To the capitalist, the ranks of the unemployed are merely a useful pool of surplus labour. The management of this pool of labour is essential to the management of dissent, from both the ranks of the unemployed and employed alike. The popular construction of the poor as a parasitic malignancy distinct from the working class only blinds us to the realization that poverty and unemployment is an essential part of the capitalist economy. The isolation and control of unemployed workers, and the petty monetization of their “needs” binds them in an exclusive and dependent relationship with the State. We must realize that as a class we are all subject to the vacillations of this irrational system, and that we must collectively build alternatives within our ongoing organizing―both to meet immediate needs and new ones that upcoming crises are bound to produce. The inevitability of unemployment under capitalism is not borne of the personal shortcomings of an individual worker, or particular policies of the “economy” or “government,” it is a bred in the bone condition of capitalism and the State. Anarchism would put an end to unemployment, by sharing the necessary work between all those able, rather than by casting some into unemployment and forcing the rest to work harder to make up for that lost labour. Simply put, anarchism eliminates unemployment through the elimination of employment. This is something that systems predicated on private or state ownership simply cannot do. We don’t need state managers, or capitalists, telling us who is valuable, and how our labour ― and the products of our labour ― should be distributed. We only need ourselves and our collective talents, organized from the ground up, to meet our true potential. Competent communities are localities where residents exercise joint control over matters that impact their lives. In competent communities, people look after each other and help each other. They do this because they feel confident doing so directly. They know that they have the skills and the common sense to deal with issues that they face collectively. However, when we think about communities, it’s often a rather hazy and ill-defined term. What do we mean by community? A community of the Left? Of science fiction fans? Of anarchists? In order to be a strategically useful term that can elucidate potential organizing efforts, we need something clearer. The community that we feel is most strategically relevant is the neighbourhood, where working people spend much of our lives, and where those who access and depend on services actually live. It should come as no surprise that our heavily commodified culture of consumerism and service provision hinders our collective competence. On the official City of Toronto web site, one will read that the city, “aims to deliver exceptional, equitable and accessible customer service.” Customers are generally passive recipients in this arrangement. The city provides, via our taxes, hundreds of services that deal with a myriad of issues, including many that deal with the needs of the unemployed―whether homeless, precariously housed or otherwise. While “regular” working and unemployed people often do not feel properly equipped to respond to help each other, state-administered services for people in extreme poverty are also being cut. The 2013 Toronto municipal budget, for example, called for 41,172 bed nights to be cut from the city’s shelter system. In other words, our communities are failing people, at the same time that services provided by the State are also failing to meet even the most fundamental of needs. As anarchists, how should we respond to this? Should we struggle against cuts and for more state-administered services, or should we struggle to build competent neighbourhoods that can take care of people? And how do the two relate? Northwestern University social policy and urban affairs researcher John McKnight writes about how competent communities are undermined by a process of “colonization” carried out by professionalized social service providers. Through this process, instead of acting jointly on issues impacting them, neighbourhood residents will defer this responsibility to a professional class of experts. Of course, this is not to say that professionals, or particular sets of specialized knowledge, are not crucial in many fields―certainly, the very particular and complex skills of doctors and nurses can’t be easily replicated in the absence of extensive training. Instead, anarchists must contend with those professionals who seek to draw neighbourhood residents into service models that are often blind alleys―models that offer no long-term or useful solutions to the problems of the working class. Welfare workers, social workers, and various city services manage poverty, by individualizing its causes and effects, and by channelling our grievances into the legal framework of the State. This process of colonization of competent neighbourhoods by the extraneous professional class was highlighted recently at a public meeting in Toronto, in which approximately sixty people spent an hour discussing the need to work together, and to apply their collective knowledge and skills towards solving the shared problems they faced as neighbours. Toward the end of the meeting, a staff member from a tenant’s rights agency stood and suggested to the assembled group that his organization could take care of their problems. This individual stumbled a bit, as he tried to make his pitch for clients seem congruent with a meeting about collective neighbourhood organizing. This was eventually accomplished with a fleeting nod to the importance of organizing from below. The pitch then resumed, with reminders of the agency’s professional staff and knowledge of tenant law. It seemed for a brief moment as if the meeting had taken a 180-degree turn. A colonizer’s claim was staked. No flag was planted, but business cards were left on the table in a reminder to the dominance of experts. Competent communities are ones that can, and do, take care of their own―whether they are in crisis or not. This is a concept that the authors of this article find intriguing, promising, and wholly unfamiliar. The descriptions of competent communities are far removed from our experience. Sure, we may remember neighbours in which loyalty, trust, concern, and assistance was assured. But a whole neighbourhood? We realize that our lack of experience with this was deliberately put in motion long ago. We also realize that the rebuilding of these competent communities will not only assist our neighbours, but our movements. Building committees engaged in landlord-tenant struggles cannot, in themselves, re-skill us or rebuild competent communities. The struggles of neighbours against their landlord are only ever successful if united. The construction and maintenance of this unity hinges on breaking the isolating and divisive management of working people’s lives by the State and capitalism. This is the point at which loyalty and trust can replace isolation and division. Note, though, the term is competent communities, and not caring communities. The dismantling of the friendly societies and competent communities of days passed was accomplished not only by supplanting those efforts with the control of the State, but also a protracted period of de-skilling, both in labour and community structures, was instrumental in not only limiting our ability to meet one another’s needs, but also the ability to identify what those needs even are. Charity replaces mutual aid, alms replace solidarity, and the State replaces community. Re-skilling, to us seems to be of crucial importance to any prospect for rebuilding the capacities for mutual aid that once characterized working class neighbourhoods and communities. But it’s essential to remember that the building of mutual aid networks to support one another in a capitalist world is not an end in itself. Capitalism enforces an artificial scarcity and poverty of existence on the majority of humanity, and so mutual aid, within the context of capitalism, can only amount to the sharing of scarce resources. What anarchists want ― what humanity needs ― is mutual aid within the context of anarchism. In an anarchist society, the world’s resources are the common property of all, owned by no one and available to everyone. Mutual aid can then be a sharing of abundance, working together to provide each other with an ever higher quality of life. Dual power is a characterization of liberatory working class power that contrasts the authoritarian and punitive power of the State, while also engaging in public resistance to the oppressive and authoritarian structures that function in the State, economy, and society. These liberatory community organizations are directly controlled by community members, not agencies. Workers and neighbours join together in local community organizations that practice direct democracy, cooperation, and mutual aid. These organizations, however, should not only look inwards, but should exist as part of a broader network of community groups. 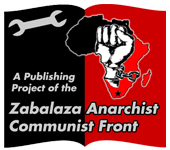 By building fighting organizations within our neighbourhoods, based on anti-state, anti-capitalist principles and connected to a foundation of mutual aid and autonomy, anarchists move closer to building dual power―which is an essential element for social revolution. When direction, or even just inspiration for dual power is sought, many anarchists mine the histories of actually-existing dual power. Some look to Russia in 1917, some to Barcelona in 1936, and others to Chiapas after the rise of the EZLN. Inspiring examples, but seriously lacking in applicability for us. Instead we may be better served to look closer to home at less complete examples of working class power and struggle that, if deliberately acted upon, could give rise to dual power. It is both the accomplishments, and the as-yet-unrealized potential that we see in the following examples that push us to consider our own potential. Residents of the Sunset Park neighbourhood in Brooklyn, facing off against gentrifying landlords, have been on active rent strike for over two years. As tenants hold off evictions, while still under threat, an increasing disillusionment with city services and political hacks has meant continued and expanding solidarity with other buildings in the neighbourhood. This growing solidarity necessarily connects to the needs of the unemployed, and those on social assistance, as many of the buildings in the neighbourhood are Section-8 (government subsidized units), which often house not just low wage workers, but the unemployed. On an even larger scale, similar projects against gentrification which involve the creation of ground up building committees have already federated across large sections of the El Barrio region in East Harlem. With seven hundred members and predicated on “self-determination, autonomy and participatory democracy” the Movement for Justice in El Barrio has enormous potential in meeting the needs of the unemployed, beyond rent and housing repairs. Major assemblies in the region, which already happen regularly, could start by committing to reviving institutions of mutual aid, such as friendship societies, set up to handle the many needs, outside of housing, faced by residents of the neighbourhood. In the Parkdale neighbourhood of Toronto, tenants in apartment buildings have begun to organize in response to what they realize is a neighbourhood-wide, concerted effort of multiple landlords to drive out many of the existing residents. While individual units go poorly maintained and un-repaired, the common areas and exterior of many buildings are being “upgraded”―with the costs being covered by rent increases. As each tenant is pushed out ― either through harassment, rent increases, or the health impacts from living in a construction site for months on end ― management renovates the vacant unit and then leases it at a rent that can sometimes amount to double that of the previous tenant. Members of Common Cause who live in the neighbourhood have joined in this organizing, and have helped in the early stages of forming building committees. These committees will be independent bodies for tenants to organize around their interests―and not those of the landlord, lawyer, or social worker. It is hoped that in the future, these building committees will then network with other buildings on their street, and then in turn build a larger network within the neighbourhood. Connections are being made and relationships are growing. The immediate issues for the committees are the defence of tenants unduly threatened with eviction, rent increases, and the general lack of repair in many of the long-standing tenants’ homes. The unemployed, the marginally employed, and those on social assistance are, of course, the most vulnerable to these attacks. Colin Ward reminds us that ordinary working people built for themselves a huge welfare network, all by themselves. He wonders if perhaps these networks will be rebuilt. It is possible that tenant organizing in Parkdale has the potential to break down the ways in which the State manages struggle, through services that isolate and individuate. If the unemployed residents of Parkdale are properly included in the larger neighbourhood definition, defence, and struggles, then perhaps these direct welfare networks can be re-imagined and reborn. It is imperative that we see ourselves as a united working class once again, with a scope that includes the poorest segments of society. With the unemployed and those on social assistance included as vital members of these organizations, we hope to begin to break down stigmas and develop and share skills that support our collective and growing movements. While moving away from appeals to municipal or provincial politicians and the various legal/social services of the State, the organizing in Parkdale is in the earliest of stages. Though we’ve already begun fighting for well-maintained and affordable units, and defending tenants against constant harassment from gentrifying landlords, this is only a first step. The project is about building a competent community that can meet the various and unbalanced needs of all those living under capitalism. This might include fighting for free, or heavily subsidized units for those on social assistance, childcare collectives, medical assistance funds, tenant-organized unit repairs, followed by tenant-decided rent reduction, etc. These and other initiatives will require a deliberate re-skilling of our neighbourhood. Popularizing skills and knowledge currently held by individual neighbours, in the explicit interest of the neighbourhood, seems to us a potent way to enhance existing organizing, create new organizing opportunities, strengthen our neighbours and neighbourhood, and break with a capitalist conception and value of employment―but also of welfare. This is not conceived of as a gruelling voluntarist martyrdom, in which those with skills ― be they parental, trades based, linguistic, physical, nutritional, scientific or technical ― provide those skills free of charge, to their neighbourhood. Though on a neighbour-to-neighbour basis this would be heart-warming and validating, on a neighbourhood-wide basis it would be terrifying. No, we teach one another the skills we have gained, free of charge. We do this in conjunction with movements of struggle, such as building committees or other combative neighbourhood organizations. Not out of charity, but out of solidarity, not as an act of mutual aid, but to prepare for mutual aid and the creation of dual power. Though those on state-administered assistance may have more material needs than others, fighting to meet these needs should be carried out with deeds that embolden us to see the possibilities of an organized and collective class. This requires a conception of both unemployment and welfare that breaks with those of the capitalists. Deference to, defence of, and dependence on social assistance is often at the core of anarchist’s “organizing” around welfare. What has been lost is a long-term strategy to challenge the State and the capitalist system that produces unemployment, and keeps the entire working class in a condition of artificial scarcity. As anarchists we must retain the long view if social revolution is truly our goal. The work ahead is daunting, but if we stay focused, patient, and do the work, we can succeed.